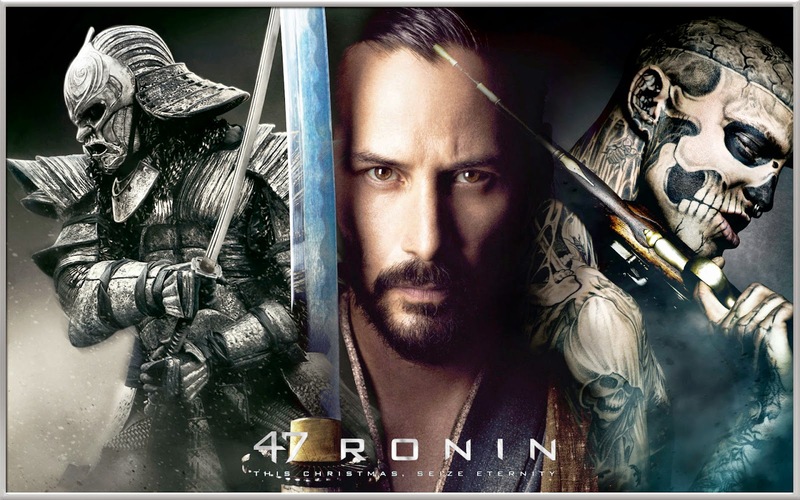 “47 Ronin” might be the last nail in the coffin in the career of Keanu Reeves. In some ways the film’s box office failure is not fair because the movie itself, although not great, certainly has its serviceable moments (certainly worse films have been box office smashes). The filmmakers were banking on the idea that Asian audiences would flock to this picture—which didn’t happen. Part of the problem is that apparently the guys with expensive suits and fancy degrees couldn’t anticipate that foreign audiences wouldn’t respond to seeing Keanu Reeves in a Hollywood version of a sacred cultural story. From the beginning, “47 Ronin” doesn’t play things exactly straight. There is a scene early on where Reeves kills this mythical dragon beast thing (I don’t know what it is or what it’s supposed to be). There are also some cool battles with wizards and some extremely fast moving warrior-monk types. It is during these scenes that I believe my ignorance (or perhaps I should say “cursory awareness”) of the true “47 Ronin” tale saved me from becoming furious at the film. Obviously this is a story with some inherent power since it has been handed down for centuries...why some idiot thought that fundamental core should be de-emphasized in favor of CGI pseudo-mythical beasts is...well, it’s why everybody is always terrorized when Hollywood announces they’re going to do a screen treatment of some important tale. Please feel free to try to explain this cultural disconnect to me—although I hesitate to believe a few paragraphs can bridge the substantial gap. Also, despite the fact that Westerners apparently answered a questionnaire in which they checked “yes” next to “do you want to see an Americanized ‘47 Ronin’ film?” the true response—judging from the box office receipts of the movie—was that they did not. If the filmmakers of “47 Ronin” wanted to make an interesting Samurai film that appeals to both the East and the West starring a mixed-race protagonist, they should have done a screen adaptation of “Gonji” by T.C. Rypel. Then they would have been free to add all the CGI flourishes that they wanted to without risking offending an entire culture (in the same line of thought, Peter Jackson should be making Drizzt Do’Urden films instead inserting elves where they don’t belong in “The Hobbit”). I don’t hate this film, I found it entertaining. My biggest fear is that the incompetent idiots responsible for the grand miscalculations that doomed “47 Ronin” from the start will come to the incorrect conclusion that Samurai movies are not viable. I like Samurai movies, I want to see more Samurai movies. Heck, I’ll even go see some more films with Keanu Reeves. But if you want to make a goofy adventure flick, don’t try to say you’re doing a treatment of a culturally significant story. There are plenty of good books out there for adaptation that don’t come prepackaged with impossible-to-achieve cultural expectations. ...and seriously...make a “Gonji” flick! Can you tell us a little bit about Heaven’s Wars? 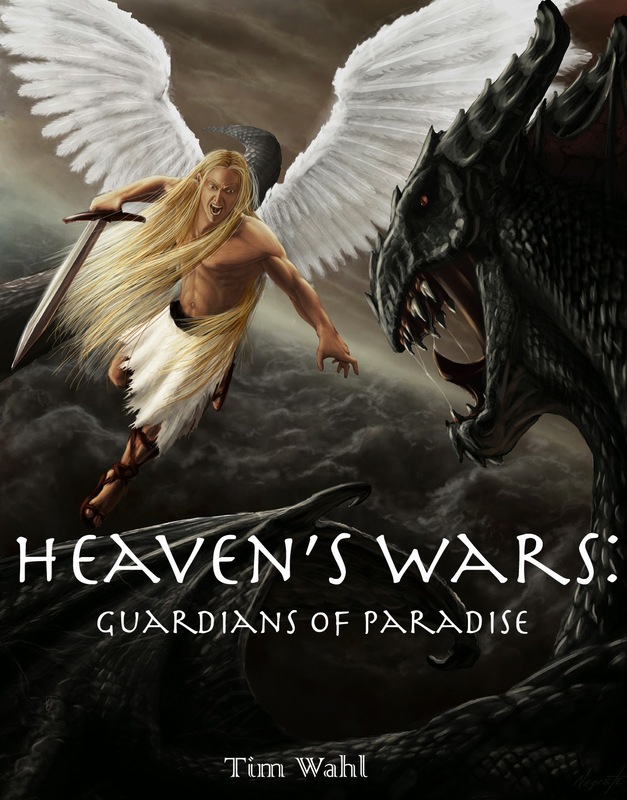 Heaven’s Wars is not simply a story of good versus evil, it is the story of good versus evil. It is the story of Lucifer’s fall with a fantasy world woven within it. Dragons, griffons, mermaids and many other mythical creatures exist. In the first book, there is a war between the angels and the dragons. While this is happening, Azrael, the pupil of the Seven, goes on a quest to solve three trials in order to gather the soil from the earth to create the first human. Azrael also has a forbidden love for another angel named Amy. It’s filled with action, romance and massive battles. This is a story that has attracted people young, old, male or female. There is something for everyone in this tale. In high school, I liked writing poems and my senior year I decided I wanted to be a screen writer. I loved the original Star Wars trilogy and I thought someone had to write those stories. I like writing, I’ll do that. Little did I realize how difficult it is to get into that industry. At that point, I started to come up with the rough concept of Heaven’s Wars for a screenplay. Since that point, I completed five scripts for Heaven’s Wars and started two more. I also wrote another screenplay called the Cleansing. When nothing was happening through my contacts in Hollywood, my friends encouraged me to write Heaven’s Wars in book form. I have written three books and started the fourth called Children of the Angelic. In truth, the real story of Heaven’s Wars is only beginning. When I was a kid, I loved dragons. It was tough to find cartoons or anything with dragons. So I liked Godzilla movies, Flight of Dragons and The Hobbit. As I grew older, I liked Star Wars and Lord of the Rings. I am a huge Tolkien fan and I also love R.A Salvatore’s Drizzt series. With Tolkien, I think it’s the history and vastness of the world he created. I would love to have a conversation with him about his thought process in making such a world with different characters. The designs for all three covers were mine. The artist for the first 2 was Daniel Negrete. The third cover was penciled and inked by Jason Metcalf and colored by Ronald Calica. The first cover was intended to make a big statement. I wanted a dragon and an angel on the cover because that is a focus of book 1 and I have never seen a book cover featuring them. I had Lucifer’s shirt removed because I was worried people may think he is a she because of his long hair. The second book is dark and the cover needed to reflect that. I also wanted an angel versus angel because again I have never seen a book cover like that. Even the bolt of lightning that appears to be passing through the angel is meant to be symbolic. The last cover was, again, supposed to be dark. I wanted Lucifer to have a bent knee as well. I know what I want to see for each cover, from the color tones to how the characters should look. I am going to local comic conventions and I have hopes of going to others across the USA. I have been using facebook to post in various groups and advertising my page. I was featured in local book stores for a few months too. I’m doing everything I can think of and do within my limited budget to get Heaven’s Wars out there. I have had great success at a local comic book store called I.E. Comics. It was the first place I did a signing and I will never forget them. person that craves being the center of attention, so it surprises me when people do that, but warms my heart too. The best place to find out what I am up to is here. I post pictures of the events I attend. I let people know what I am doing with the books and my progress on future books. My future projects are books for Heaven’s Wars. I also plan on putting out short stories for the series to give a small bridge for book three and four. I have ideas for another fantasy series, however, Heaven’s Wars is my biggest priority at this time and I am going to keep writing this story. I love what it is and I love talking about it with fans. The fourth book entitled Children of the Angelic is going to vastly expand the world of Heaven’s Wars. The focus will shift to the nephilim (beings born from angels, demons and/or humans). Everyone will understand why Lucifer and Azrael were at the center of the first three books. They will also discover the answer the answer to an unanswered question, who is Ekael. You can pick up your copy of "Heaven's Wars" here. Can you tell us a bit about what Day's Light: The Clock of Eternity is about? Days's Light is an event in a timeline that tells of a young girl born of strange circumstances, and her run in with some of the most powerful dark forces a magical world has to offer her. The first book is simply Arya, as well as the reader, being introduced to a world that lies on top of reality with its own laws of magic, but it's fair share of perils as well. Where did the idea for Day's Light: The Clock of Eternitycome from? Day's Light stem from when I was 15 and felt it was time to write a story that involved my own characters, not just adoring the ones i saw on tv, played in video games, or read about. It mirrored my mind and was originally meant to be a single book, although it was hardly a book. At only 15 pages I had written it from start to finish. Since then I had rewritten it countless times, through 3 generations of itself, until i concocted what is there today, along with four more books on the way....and a whole timeline to boot. When reading this, I can swept up in the surroundings of the story. 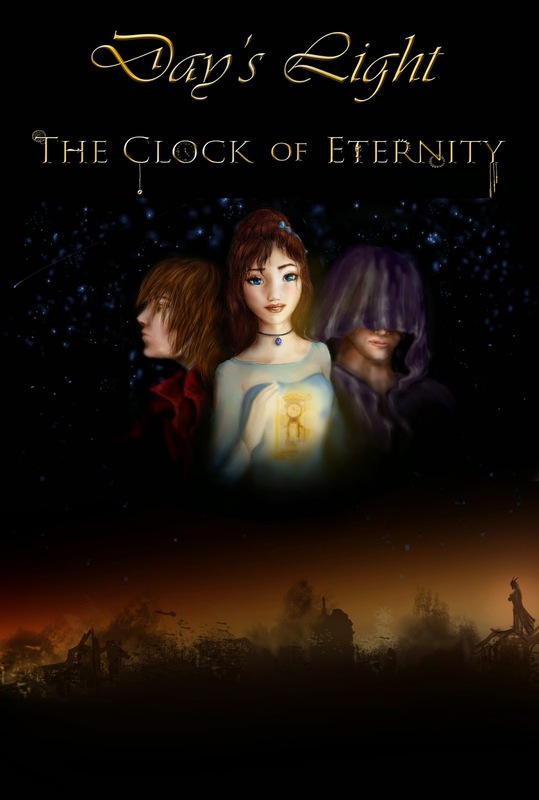 Did the characters come first for you when writing Day's Light: The Clock of Eternity or did the background? Blaze was first, although he had a different name, and I followed him through a rudimentary setting of Chicago only to decide I wanted him to change a bit. I created Luminasia after i wrote the setting in Chicago and Arya was born. ORIGINALLY The book was in first person and Blaze had been turned into a girl by Lucifer. When Sarah and Julia found Blaze the way he was, previously named Alviar, they adopted him and named him Arya instead. Obviously....this has changed alot since then, but in what way I won't reveal. It's up to people to read and find out! Arya seems like a strong character. How best would you describe her? As a person? Love of my life, haha. She, even if i had created Blaze first, has become such an evolutionary person with me it's astounding. I've seen her grow in many different ways since she woke up on that beach. (That's always been the same) Arya is a frightful girl, she's slightly clumsy and tends to be a bit air headed. However, very quickly she adapts to the situations around her. Arya is a girl who has very little weakness. It's not as if she can;t be defeated, but it's that she refuses to give up! Her friends fuel her, her love to protect them drives her! Lucifer is a brilliant villain. How important did you feel it was to make this character stand out? Extremely. In my universe there are very few creatures more powerful than he. My villains all share a same trait- no B.S. Alot of movies and what not will have villains spewing nonsense about their plans, or doing things that stretch the clock out instead of just killing their prey. Not Lucifer. Though he has become confident in his power and he does take many things slowly, he is ruthless and tolerates very little. Cross his path the wrong way, and you'll see how he stands out. Where can readers buy Day's Light: The Clock of Eternity? Right now readers can buy Day's Light: The Clock of Eternity from many online websites, the best being BarnesandNoble.com or Amazon.com. You can purchase from Xlibris.com as well, my publisher, but they'll take too long printing it. Is there works in the future you wish to share with readers? I laugh at this question. Only because the answer couldn't be a bigger 'yes'. The Day's Light series is an event that happens on a timeline that directly correlates with our own. I have planned in a timeline about 33 different 'events' 7 or 8 of which are series while the other 25 are stand alone books. It's more than possible I will be adding more. After all, the future is ever changing. Right now readers can look me up at Day's Light on facebook. I will be making an author's page on facebook soon, as well as the Day's Light website will be open after the final stages of building are finished. (not sure how long) I can also be found on Goodreads if you search Jordan Leleika. About the Editor: Scott M. Sandridge is a writer, editor, freedom fighter, and all-around trouble-maker. 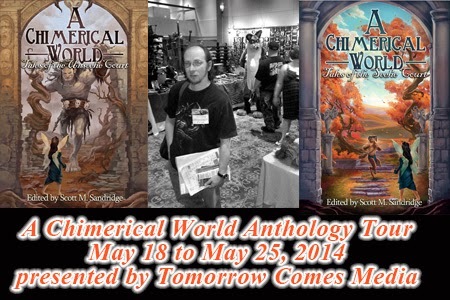 His latest works as an editor include the Seventh Star Press anthologies Hero’s Best Friend: An Anthology of Animal Companions, and the two volumes of A Chimerical World, Tales of the Seelie Court and Tales of the Unseelie Court. Book Synopsis Tales ofthe Seelie Court: The Fey have been with us since the beginning, sometimes to our great joy but often to our detriment. 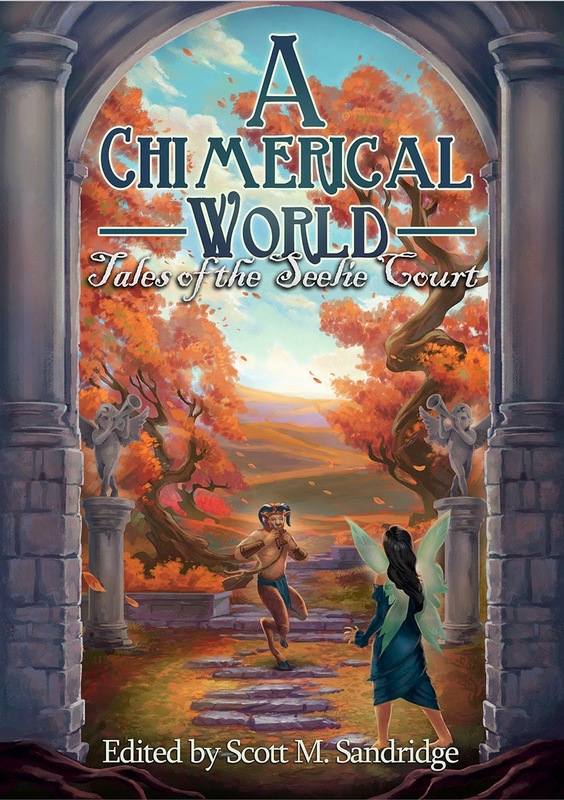 Usually divided (at least by us silly humans) into two courts, the first volume of A Chimerical World focuses on the Seelie Court: the court we humans seem to view as the "good" faeries. But "good" and "evil" are human concepts and as alien to the Fey as their mindsets are to us. "Mark of Ruins" by SD Grimm. "The Body Electric" by Sarah Madsen. "The Last Mission" by Cindy Koepp. "The Beggar-Knight & the Lady Perilous"
"The Filigreed Lamp" by Edward Ahern. Book Synopsis Tales ofthe Unseelie Court: The Fey have been with us since the beginning, sometimes to our great joy but often to our detriment. 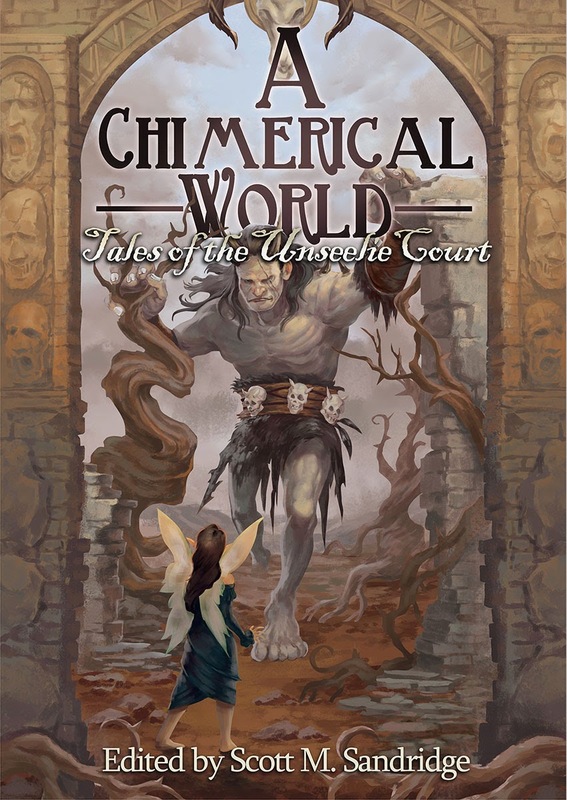 Usually divided (at least by us silly humans) into two courts, the second volume of A Chimerical World focuses on the Unseelie Court: the court we humans seem to view as the "evil" faeries. But "good" and "evil" are human concepts and as alien to the Fey as their mindsets are to us. But don't be surprised if these faeries decide to play with their food. "The Enemy of my Enemy" by Deedee Davies. "Prey of the Boggart" by Rony Blechman. "Fear of Little Men" by Mike Pieloor..
"Faerie Stories and the Bean Nighe" by Carmen Tudor..
"The Yielding" by J. A. Ironside. "The Tamer of Beasts" by Doug Blakeslee..
Be sure to also see A Chimerical World: Tales of the Seelie Court, for more tales of the Fey! After reading Jaq D. Hawkins’s fine steampunk adventure “Wake of the Dragon,” I was excited to check out more of a fantasy offering. “Dance of the Goblins” doesn’t disappoint. There are elements of urban fantasy here as it takes place more or less within a modern setting, but the main characters are goblins and a good deal of the action happens within the goblin realm. I can’t recollect having read a book that approaches the life of mythological/fantasy creatures in quite this way. The closest I can think of is “Sojurn” by R.A. Salvatore, but “Dance of the Goblins” is a far more thoughtful and mature treatment of the concept. I’d often thought of goblins as diminutive, non-thinking creatures, but Hawkins’s goblins are tall, powerful and intellectual. They are long-lived, and exist in secret tunnels beneath the awareness of the human race. The “dance” of the title refers to a hypnotic state they enter when they perform their magic. There is a lot of talk I appreciated about hearing “the rhythms of the Earth,” and werewolves also make an appearance. I’ve always thought that fantasy novels that attempt to tie in with existing fantasy legends are the most effective. In “Dance of the Goblins” some goblin females are able to project images so that human males perceive them as voluptuous, idealized ladies. There is also talk about goblins swapping out goblin babies for human children in the hopes of introducing new bloodlines into the isolated goblin species. Taking advantage of these kinds of legends is a terrific way to lend substance to the overall story. Action is subdued in this thoughtful novel, and the writing, character development, and world-building are all first rate. This book stands out among recent fantasy releases in that it gives substance to a fantasy species that is almost universally used as an anonymous horde of redundant enemies. 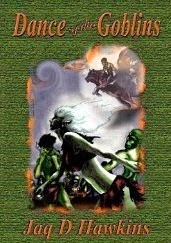 “Dance of the Goblins” is a must read for any fan of the fantasy genre. We need more books like this. Note: There are some very unfair negative reviews of this book on Amazon. 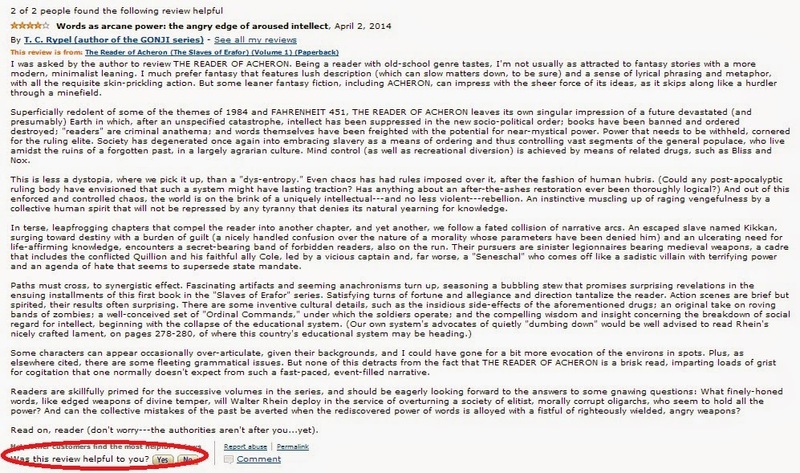 One reviewer even blatantly states that s/he did not even read the book, but nonetheless gives it a one star review. This leads me to believe that there is some group with an unfair prejudice against this writer actively seeking to sabotage her Amazon sales. This is unjust, and it makes me very angry. I think Jaq D. Hawkins is a very talented writer and I look forward to her work. Maybe I'll write Jaq directly and get to the bottom of this. Stay tuned. Words with Valerie Douglas, author of "The Coming Storm"
Can you tell us a little bit about "The Coming Storm"? 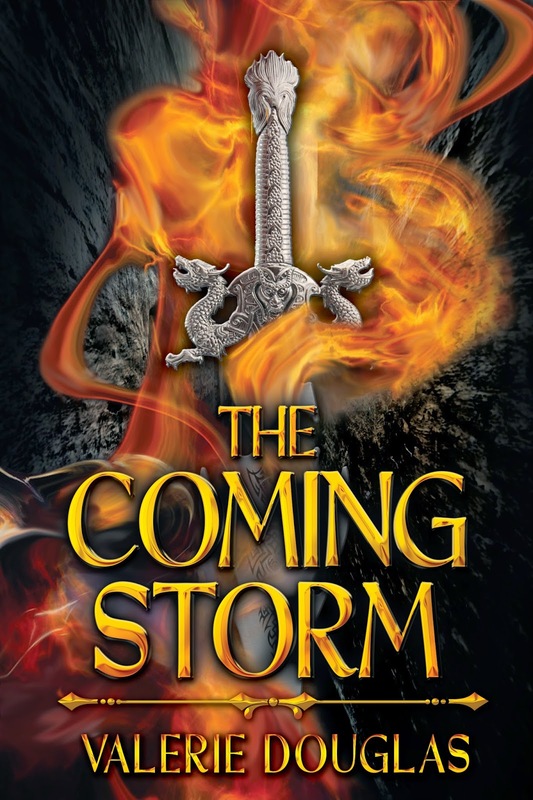 The Coming Storm is classic heroic fantasy set in a land called the Kingdoms that is surrounded by what they call the borderlands - a no-man's or Elf's land of vicious creatures that are a challenge even for Elves. Elon of Aerilann is the Elven advisor to the High Council, but particularly Daran High King. As an Elf, Elon is magically gifted, in his case particularly with foresight. His foresight tells him the sudden activity on the borderlands is more than just coincidence. Simultaneously, Ailith of Riverford is finding that something is terribly wrong in that Kingdom. Elon's investigation brings him to Riverford, and puts all their lives in jeopardy. I've been creating other worlds in my head for as long as I can remember. *grins* My parents didn't know what to do with me. An avid reader, I got frustrated at not finding the kind of books I loved, so I combined my madnesses - and started writing about those other worlds. Tolkien, of course. George R. R. Martin - although he's gotten a little too dark and grim in his later books. Anne McCaffrey. Mercedes Lackey. What was it like working with Alexandria Publishing Group? It's a consortium I started, so of course I think it's great. Mallory Rocks Art did a great job on the cover, and Rik Hall did the formatting. I use all the standards - I have a webpage and a Facebook author page, use Pixel of Ink, E Reader News Today and Bookbub, as well as any and all fantasy sites. Not really, I've had wonderful experiences with both. My blog is Valerie Douglas Books and readers will find information about my books, new releases and other updates as well as the inspiration for writing any given book. I'm in prequel/sequel mode right now. I'm working on the prequel to The Coming Storm, a sequel to the Servant/Heart of the Gods series, and a sequel to Nike's Wings (not a fantasy novel). I don't do the expected. Thanks for the interview Valerie. Get your copy of The Coming Storm here! Those of you who follow me on my Heroic Fantasy Facebook group know that I sound like a broken record when it comes to reviews. The first thing I ask any new member is if they are willing to write book reviews. Honestly, anyone who aspires to be a writer should be willing to read the work of others and review it. Writing reviews benefits both the author of the book being reviewed, and the author of the review. In this article, I will explain how you can get the most out of your Amazon reviews, and how it will benefit your sales. In the modern marketplace, Amazon is king. Think about it, they have the emails and the buying tendencies of every individual who purchases regularly on their site. It's in Amazon's interest that your book sells because Amazon then gets their cut, and Amazon will actually push your books once they reach a certain level. In my experience, there is no better way to jump start sales than to have Amazon flogging your book for you. Once your book hits 30-50 reviews, you'll start receiving emails from Amazon listing your book as a "suggestion of the day." You might also start to see an advertisement for your book on Facebook. This is great because if you're seeing it, you can guarantee that other people are seeing it as well. Contrary to popular belief YOU DO NOT NEED TO HAVE PURCHASED THE BOOK TO REVIEW IT. 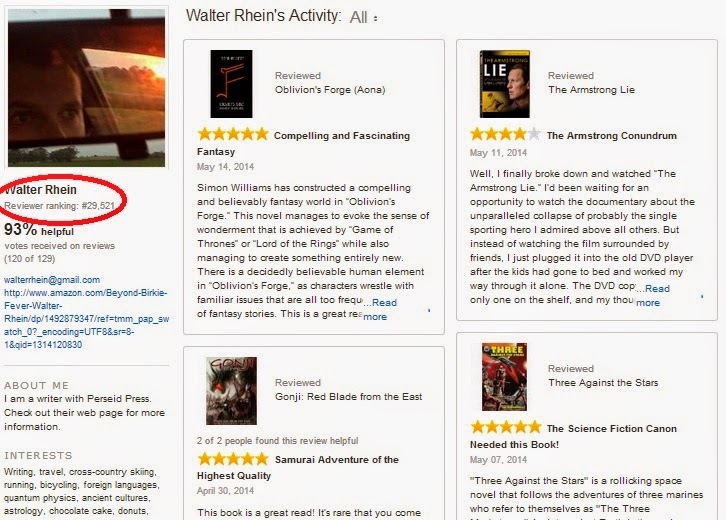 Amazon wants reviews just as much as you do. To write a review, all you need is an Amazon account that has made a purchase. Again, it can be any purchase, not a purchase of the item you wish to review. Your reviews can be quite minimal. Amazon lists 20 words as a requirement, but judging from existing content on the page even that is flexible (I usually shoot for 1,000-1,500 words). I won't say much about writing reviews, however, I would like to mention one thing. All new releases, whether they are through Penguin or some small Independent publisher, are going to have 5-10 minor grammatical errors. Books like The Catcher in the Rye have few to no errors because they've been in circulation for more than fifty years and the original 10 or so mistakes have since been corrected. Mentioning grammatical errors is the kiss of death for an Amazon review--it's the one thing you can say which will cost the author sales. You should only bring it up if the number of errors dramatically exceeds the standard baseline. Most people have web pages these days, so it's of great help if the same review is posted on Amazon, a personal web page, and Goodreads. There are an almost limitless source of venues to publish reviews, but those are the three big ones. I've even experimented with publishing on the Yahoo Contributor Network. Again, you don't have to write different reviews for all these places. Just keep publishing the same review. To purchase your copy of this book, click here. This is from my review of "Oblivion's Forge" by Simon Williams and it appears Mr. Williams is pretty savvy about the internet since this review has received 76 "likes." Has that lead to any sales? Who knows? But it certainly can't hurt. Clicking the Facebook button is just the beginning. You can also take the URL and post it on Facebook. Notice how I posted the URL (in this case of an interview) into my status update (here's the link if you want to read that interview--see what I did there?). As an author, you really need to make it your responsibility that every time somebody reviews or interviews you, they see a massive surge in traffic to their web page. Book promotion becomes a lot less frustrating when you realize that newspapers, magazines, radio stations, etc., are only going to be interested in you if it helps them get attention...not vice versa. So get it through your head--when the review/interview/whatever appears, your work begins! It goes without saying that if webmasters and editors see surges in attention when they discuss you--THEY'RE GOING TO DISCUSS YOU AGAIN! You can grab a link to individual Amazon reviews by clicking on the "permalink" button at the bottom of the review. Here's an example from a particularly good review. Once you click on "Permalink" it will take you to a new URL that contains only the review, not the entire Amazon listing for the book. 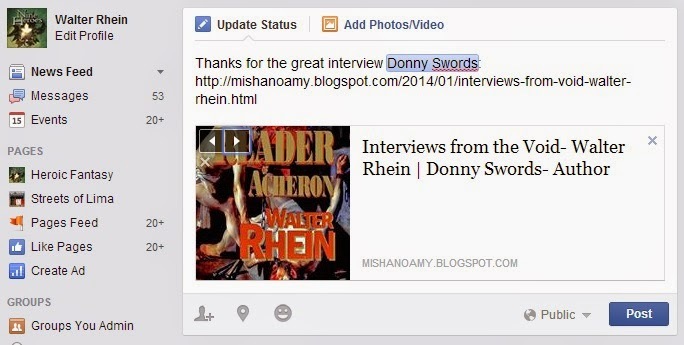 You can use this link to update your Facebook account, or include links to various different reviews when you're doing interviews. The point is to ALWAYS FLOG YOUR POSITIVE REVIEWS! Again, don't just click on this yourself. Focus the total power of your entire social network to click "yes" on this. This is helpful for several reasons. It shows Amazon that a lot of people are reading the review, and it helps with the "reviewer ranking" of the person who wrote the review. Having a higher "reviewer ranking" helps the clout of the review. This helps YOU the author and it also helps the reader who reviewed your book. I currently have a vast list of books that I'm scheduled to review. If you're an author of one of the books on that list (or you would like to be), it would help you (and me) if you went to my Amazon reviewer page here and clicked "yes" on the "Was this review helpful to you?" option on some of my reviews. But don't just do this for my account. 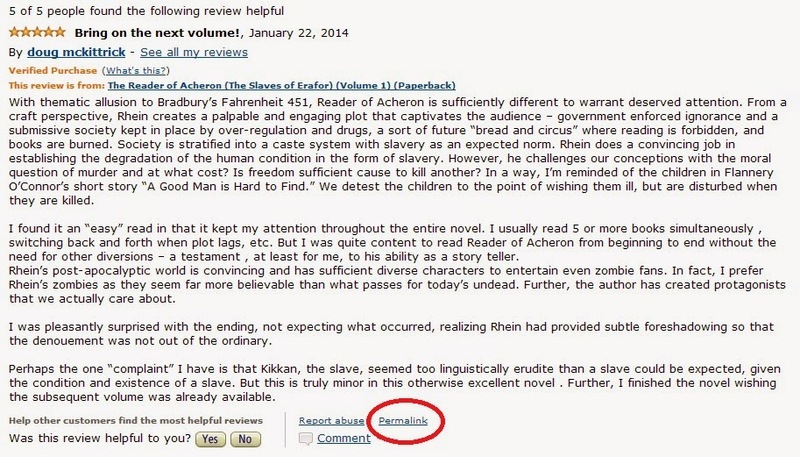 Do it for anyone who has the courtesy to review your books. Amazon is a numbers game, and if you actively use your social network to pad the numbers in your favor that will be to your benefit. It literally takes only a few seconds to click "like" or "yes" so what are you waiting for? All it's going to do is lead to more sales! Walter Rhein is the author of "The Reader of Acheron," "Beyond Birkie Fever," and "The Bone Sword." He is also the editor of "Nine Heroes." He can be reached at: walterrhein@gmail.com. Simon Williams has constructed a compelling and believably fantasy world in “Oblivion’s Forge.” This novel manages to evoke the sense of wonderment that is achieved by “Game of Thrones” or “Lord of the Rings” while also managing to create something entirely new. There is a decidedly believable human element in “Oblivion’s Forge,” as characters wrestle with familiar issues that are all too frequently left out of fantasy stories. This is a great read and it will be interesting to watch how Williams further develops as a writer. There are a lot of characters in “Oblivion’s Forge” and the narrative jumps from one to another frequently. This can be a little bit jarring, especially at first before you get to know the characters. However, all of the characters are compelling and it doesn’t take the reader long to become accustomed to this narrative tactic. One character that I liked was Vornen. Vornen is an outcast who is psychically attuned to the energy “gates” that sometimes spontaneously appear in Aona. He finds himself drawn to these “gates” although they are extremely dangerous. This psychic link has a detrimental effect on Vornen’s ability to lead a normal life, and he finds himself wrestling with various forms of addiction. He’s cast out of his adoptive home and is left to wander the world searching for his place in it, while attempting to avoid the suicidal call of the “gates.” However, as the novel progresses, Vornen begins to emerge as one of the important players of Aona. Another interesting character is Jaana. These days it has become cliché to downgrade a fantasy novel for not having enough female characters, but Jaana isn’t included just to avoid that criticism. Jaana is a healer who finds herself unable to treat a new illness that’s spreading among the villages of her region. Concerned with her failure, she seeks out the council of her mentor, a mystical hermit of some renown. However, when Jaana finally reunites with her former teacher, she ends up with more questions than answers. Most of the characters of “Oblivion’s Forge” are flawed in some way, but they are self-aware which makes them interesting. This isn’t a fantasy of “perfect” knights in shining armor who are confident in every sword stroke. In “Oblivion’s Forge” the characters are possessed by a desire to do the right thing, but they are often opposed by their own inability, or lack of knowledge as to what the right course is. This personal angst felt by every character is reflected in the overall events of the novel that seemingly happen at random, but yet also appear to be connected. What are the mysterious “gates” that torment Vornen? What is the source of the illness that has befuddled Jaana, the renowned and respected (if not by herself) healer? The Science Fiction Canon Needed this Book! “Three Against the Stars” is a rollicking space novel that follows the adventures of three marines who refer to themselves as “The Three Musketeers.” A plot against Earth is the main driving narrative force, but the true fun of this novel comes from the well-conceived alien life and the overall lighthearted tone of the book. 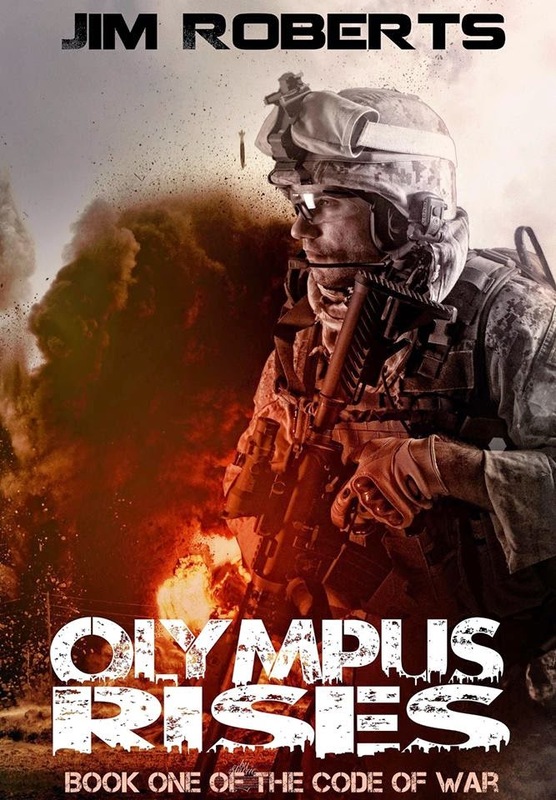 Don’t be confused however, this is a gritty, military/space novel. But somehow Joe Bonadonna, much like Alexandre Dumas, manages to place the focus on the joyous “esprit de corps” rather than on the horrors of war. For a quick, enjoyable read look no further. One of the things I really enjoyed about this book was the development of the alien races. The two main alien species that are players in this story are generally humanoid, but are in one case of reptilian and in one case of feline descent. The feline characters are especially good since they are more or less human beings with fur and faces like lions, tigers, etc. As I was reading, it occurred to me that it was strange that I hadn’t seen more characters like these in other works. The only thing that really came to mind was “ThunderCats” and perhaps a couple throwaway James T. Kirk conquests on “Star Trek.” A feline looking alien race is a great, highly-visual narrative device that inherently suggests all sorts of plot possibilities. I hope that Bonadonna continues to explore these ideas and this universe. The felines are in the midst of waging interstellar battle, and there is a nice scene early in the book at a slave colony that shows their evil nature. However, there is also a feline character who hangs out with the aforementioned “Three Musketeers.” This character, Makki, is probably the most sympathetic character in the novel. He aspires to be accepted into the Marine corps, but his alien status is an obstacle to that goal. Makki does not harbor any resentment towards his unfair exclusion, and his actions in the final battle are the most heroic of any in the novel. It’s been too long since I’ve read a good science fiction romp which is gritty but doesn’t take itself too seriously. You’ll enjoy Bonadonna’s efficient writing style. Characters can get killed off in a heartbeat, sometimes in mid-sentence, and Bonadonna is clever enough not to tip his hand that such actions are imminent. This technique keeps you on guard as a reader, and increases the overall intensity level of the book. The action is plentiful and professionally handled. 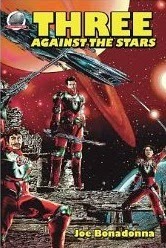 “Three Against the Stars” is golden age Science-Fiction in every sense of the word!